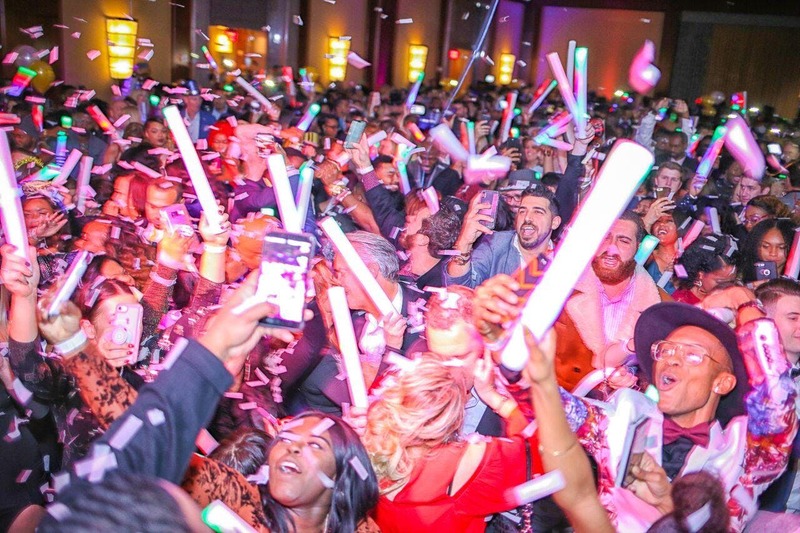 Gorgeous NYE 2019 @ The Ritz We invite you to NYE 2019 at The Ritz-Carlton, Charlotte!The Ritz Carlton is the Queen City’s most inspired design which features the breath-taking 7,000 square foot Ballroom. The Grand ballroom will play host to young professionals and party-goers alike in the most distinguished venue and only 5 Star Hotel in the city.The extensive contemporary art collection will serve as an inspiring backdrop for impromptu socializing, making the Ritz Carlton, Charlotte’s ultimate party place to be front and center. The Grand Ballroom is a centerpiece for beautiful insanity personified as we celebrate the New Year’s festivities. Located two floors above street level, it offers easy access via The Ritz Carlton Lobby.Once the lights go down, say goodbye to long-lines or waits at the door and kick-off nighttime excitement by adding a sophisticated edge to your evening with private bottle service – the upper echelon where you can see and be seen from your own VIP lounge. Expedite the fun with a dedicated wait staff, and create personalized cocktails with your own private supply of hand-picked alcohol and mixers.